Jennifer Walkowski’s tour of Mid-Century Modern architecture takes place Sunday, with planned visits inside One M&T Plaza, Temple Beth Zion, and the Robert Coles House. In anticipation, presenter Christopher Brown compiled a great overview of not only the building but it’s context, both in the history of M&T Bank and Buffalo’s development. The 24-page article (with photos) is found here. As of this writing, tickets are still available! 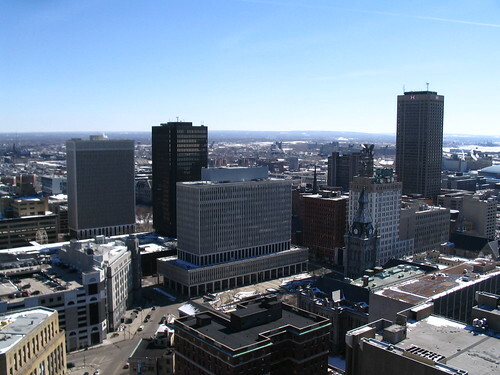 The general public and SAH Conference attendees can visit the Buffalo Niagara Convention Center to register. This entry was posted on April 13, 2013 by Fred Schrock. It was filed under Uncategorized .